Hi, I'm Ashly. I've been the Teen Loft Supervisor for 14 of 16 of my years at the Reading Public Library located in Reading, PA. I love working with teens and am glad that I am in a position where I can make a difference in their life no matter how big or small. We all know that today’s teens are busy with the demands of school, employment, and extracurricular activities. This does not mean they devalue the library and its offerings. Just because they do not have time for extensive programs does not mean they do not have time for the library. It means we need to take a step back and evaluate how we can still fit into their lives. Libraries are made up of caring staff members that have the interests and needs of their patrons at heart. I am fortunate to have the opportunity to meet with such people at a county-wide youth service meeting that meets frequently throughout the year. At these meetings, we are able to share ideas, challenges, and passion projects that benefit our community as well as get support from our District Library Youth Services Consultant. 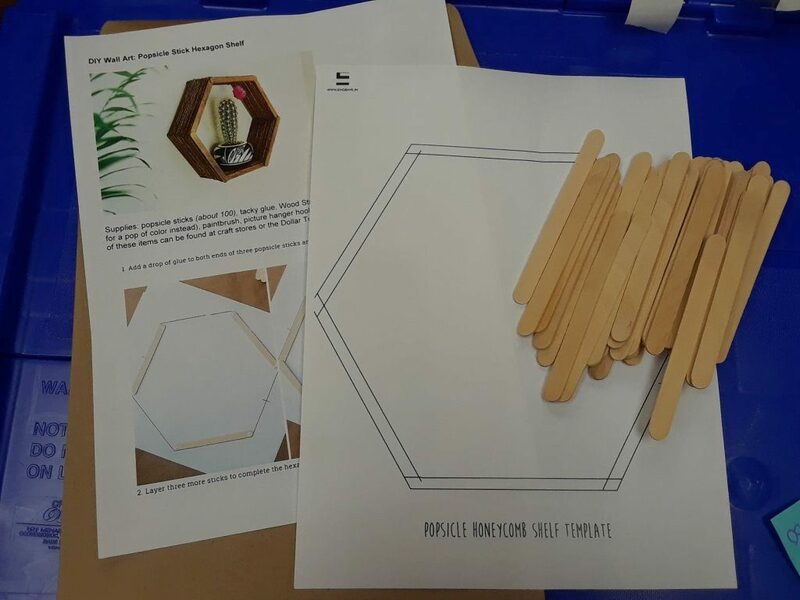 Take-Home Packets: At the Sinking Spring Public Library, Christine Weida—Children and Teens’ Librarian—engages both tweens and teens by creating STEM take-home packets. They contain a brief intro to the subject, an article or link to more information, an item, and an experiment. Her packet for April is Whoopee. In the past, she has focused on lenticular images, coding, math magic tricks, and magic eyes. “The parents love to take these home to try and the kids get really excited too when they see them. I give them hints but don’t tell them what exactly is inside. I always learn a lot when I make them as well, so I enjoy that aspect. I try to choose things that aren’t mainstream,” she says. 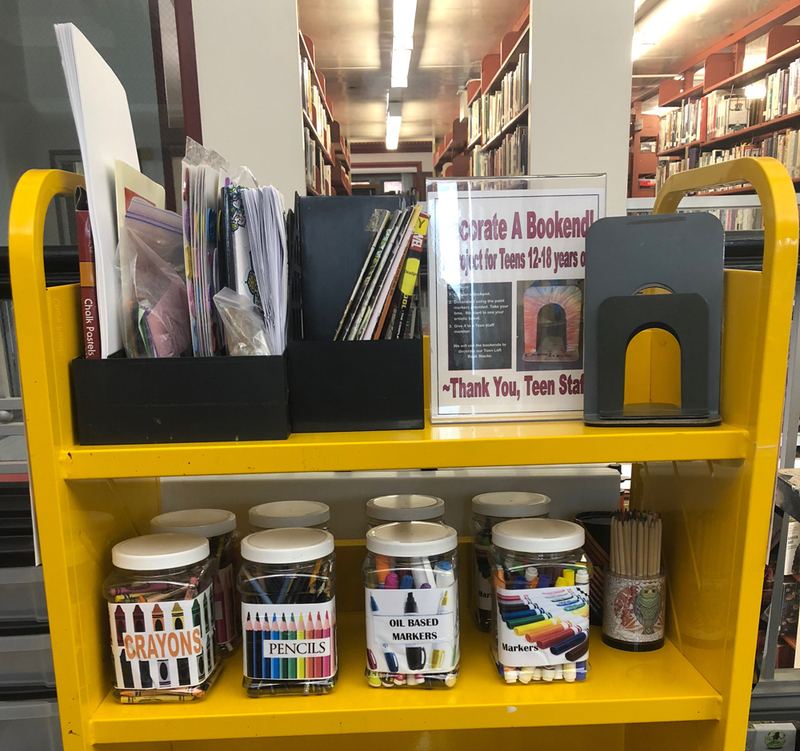 Drop-In Craft Activities: At the Reading Public Library Teen Loft, every Friday we have drop-in crafts where teens can show up during an allotted time period to create. We choose things that do not need a staff member to facilitate. Instead, we introduce the project of the day and leave the participants to socialize with each other and make. This is a great way to use materials from past programs so that nothing goes to waste. Flexible Programs: Having a few programs on your schedule that are flexible—such as Drop-In Crafts—is necessary. Busy teens need to know they will not be an interruption if they cannot come at the start of a program and that they are still welcome to participate. Use Pop-Culture to Your Advantage: Think of all the books you have on the shelves that have now been turned into movies or shows. I like to create “Read It Before You See It” displays to encourage patrons to read. Many times they are unaware that their favorite movies and shows are derived from books. Online Programs using Social Media: Go where your busy teens are—online. Find the social media platform your teens use the most. You can interact with them by posting the same questions you may have on your bulletin boards. Tell them about books that were turned into movies or shows that they can checkout from your e-book sites. Talk about upcoming programs in-house and create virtual ones. Take pictures and show them what they are missing at your library. The possibilities are endless. School Connections: This is not always the easiest thing for Youth Service staff in public libraries. It can be a true challenge to find an advocate in your local school, whether it be the school librarian or school counselors. But it is worth it. Each month, I send calendars with a cover letter highlighting some of the programs. Frequently, the teens will tell me they got a calendar at school and that is why they came to a program. Programs such as these can be a win-win for both patrons and staff. Some benefits are that less staff is required, there is time flexibility for both patrons and staff, the library is promoting self-exploration, the programs attract both regular patrons and newbies, and if the program did not generate the participation you anticipated, you did not spend a lot of time prepping. Over the years I have found that you need to find your library’s “programming patterns.” This can help you determine where and when to spend more time on extensive programs versus passive programs. I do my most extensive programs during the summer because I know teens will have free time and will be looking for things to do. In fall, there is still some buzz and the weather is still nice enough for them to attend scheduled events. During winter, I try to reuse leftover materials and engage my busy teens the best way possible by using these ideas. Remember your teens. Just because they are busy does not mean that they do not need our services or that they have forgotten about us. I always love to have conversations with patrons I have not seen in a while. We catch up, talk about exciting things that are happening in their lives, and I let them know what is new at the library. Many of the conversations start with phrases such as, “I am so happy I’m here. I was just so busy,” or “I’ve wanted to stop by so many times, but I’ve been so busy.” We are still on their minds. We are a place that will continue to be near and dear to their hearts. We just need to get in where we fit in. 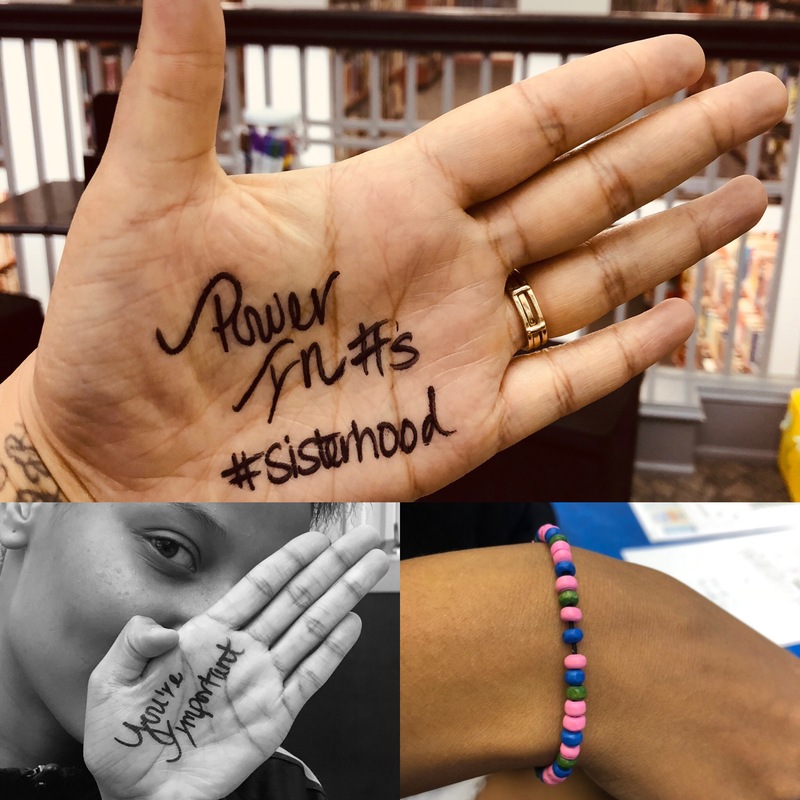 By Ashly Roman January 23, 2019 January 22, 2019 Continuous Learning, Leadership, Learning Experiences, Partnerships, Professional Learning, YALSA Info. Peer to Peer Learning is shared knowledge learning that is not done by an instructor or another person of authority. It is all about people on the same level teaching each other what they know. From large urban libraries to small rural ones, makerspaces are happening. Spaces like these are important because they give people of all ages the opportunity to gain knowledge on their own through hands-on exploration. The possibilities are endless and can range from being tech-based, such as 3D printing and multi-media, to art carts and building stations. I work at the Reading Public Library, District Center in Reading, PA located in Berks County. We are fortunate to have a space dedicated to teens called the Teen Loft. In that space, teens have simple makerspace areas that I have created based on the interest of the teens and the resources many lack at home. One of those spaces is our Art Cart. We take for granted having access to simple things such as crayons, markers, paper, scissors, and glue. Our building makerspace consists of K’Nex, Legos, Moon Sand, and more. We also have a monthly themed makerspace challenge to keep things interesting such as our Granny Square project and decorating bookends that we featured for Teen Read Week this year. In many circumstances, these are luxuries for our patrons because their parents and guardians cannot afford them. They look to us for a space to relax and socialize with their peers. Programs are great and fortunately, we can provide them daily, but there is something about being able to have the time to explore on your own terms. Makerspaces provide that opportunity and support resources in our collection. How Do I Start a Makerspace? 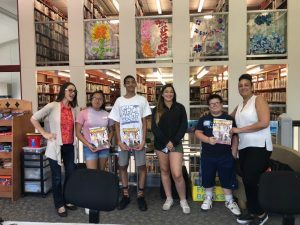 The Reading Public Library, Teen Loft located in Reading, PA provided three three-hour writing workshops this summer facilitated by professionals funded by the YALSA/Dollar General Summer Learning Grant. Ekphrastic Poetry: Motivos, a bilingual print magazine run by founder/publisher and former ALA National presenter Jenee Chizick-Aguero, provided a workshop on ekphrastic poetry. 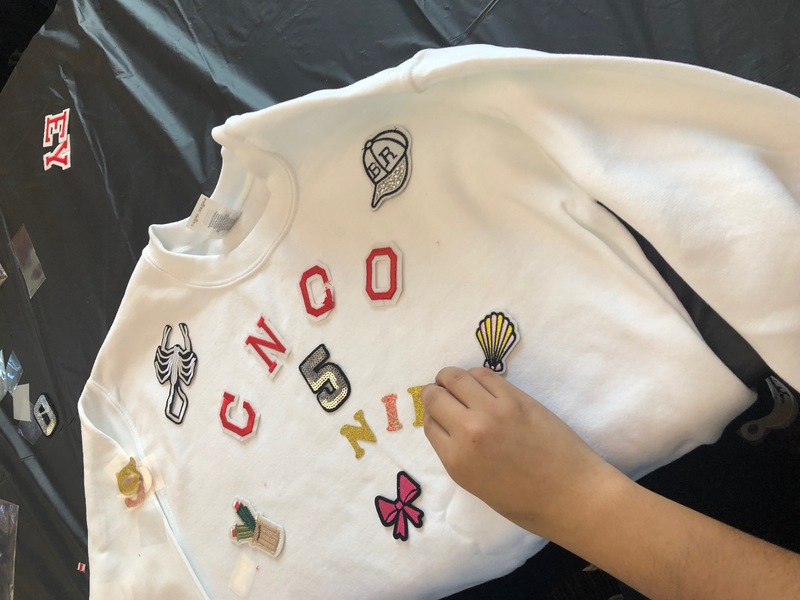 Teens used the elements around them and drew inspiration from things that were familiar to them such as music, movies, and artwork to find their creative voice. Jenee also encouraged them to submit their writing to her magazine for publication. She also shared resources her magazine provided such as scholarship information. The RPL also subscribes to her magazine so that they are available at all times. Short Story Writing: Young Adult author of Immaculate and Transcendent Katelyn Detweiler began with a discussion about how she got into writing, the challenges she faces and working for a publishing company in New York which gave teens insight into how a book is created from start to finish. Teens were then given prompts to help get them started. Comic Book Panels: Author and artist Jean Esther taught teens how to make their own comic book and the challenges he faced when creating his own. He also spoke about his journey as an artist. The workshop started off with basic drawing tips and tricks they could use to bring their drawings to the next level. After they created their main characters, they were ready to work on their storylines and share their work.